Music is a form of art that everyone would love to share. And over the course of time, music itself has transcended into unprecedented scales. Right now, it is not only the professionals on the TV and radio that can record and release good music. Even you who are reading this article has the opportunity to promote your music around the world. Gone of the days in where independent producers have limited reach. There are a lot of innovations today that you can use to promote your music. You should not waste them because you are letting opportunities slip away. If you are just a new artist and you have the right talents to back you up, promoting yourself is not a bad idea at all. Here are some of the approaches that you can elevate your exposure. The digital age has removed the necessity to have personal interaction with your crowd or target audiences. Just by a simple recording or streaming platform, you can already perform “live” without really being physically present at all. Because of this, the need to spend for professional setups have been removed as well. However, this doesn’t mean that you can rely on this kind of arrangement all the time, especially if you are just a new artist. Being able to interact with people is an essential form of marketing. It enables you to share your stories intimately and sincerely. You can even share samples of your music to them for free. After that, you can get organic referrals gradually. There are a lot of benefits that you can get from performing live. Aside from the money that you can get from live gigs, it can also provide you with an instant system where you can market and network yourself with potential clients. All of us have access to different social media platforms. 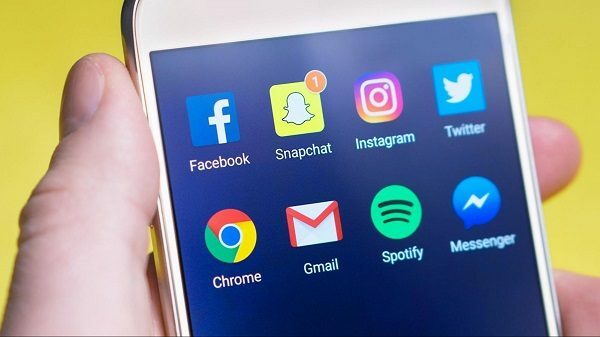 You are no longer stranger to Instagram, Twitter, and Facebook. Even if you are not using all of these three, I am pretty sure that you can use one of them. Right now, we are all aware of the power of social media. If used right, social media platforms that can drive you to instant popularity. And heck, you don’t even have to leave home before you can get that influence and leverage that you need. All you have to do is to sit there and use all the social media tools at your disposal. Of course, social media is not an instant solution to your problem. Most of the time, you’ll encounter struggles and stagnancy here, especially if you are not so used in spending a little on advertisements and promotions. Your contents need to be interesting as well. It should be informative and enthusiastic. In fact, the promotional part of your posts should not be that big. It should be subtle so that people would get the hang of them easily. But once done right, you’ll notice that people would stick with your works. Social Media is a powerful way to promote your music. Putting up a website is a dilemma for a lot of people. Because of the presence of social media sites, people think that websites are not a thing anymore, or they are simply not necessary anymore. However, that’s a misconception that you have to scrape out of your mind. First and foremost, websites have never been outdated. They are always on the trend, and they will always stay the same for a long time. Many companies and entrepreneurs have created their websites to ensure that their services and works would have a proper platform for exposure. It is like having a garage sale on the internet, where you can advertise yourself any way you want. Even if you are a musician, never exclude the entrepreneur in you. After all, what your goal right now is to sell yourself. You just need to be creative in what you post there. Make a lot of uploads and schedule your posts regularly. In this way, people and potential fans would find you interesting. Another common way of converting visitors to fans is using landing pages. In here, you can gather their email address or distribute some information regarding your latest works and uploads. Through the email list you are able to promote your music to your fans. You should always think outside of the box when you promote your music. Otherwise, you will never get the right kind of exposure that you deserve. Being a musician is not just about reaching out to your potential fans and audiences. It is also about reaching out to your colleagues and people with the same endeavors as you. There are a lot of independent music blogs out there that are in the constant lookout for fresh contents. They are the ones who are willing to feature an artist if you are good enough for their tastes. And the best thing about them is that they are more inclined to getting independent musicians rather than those that are on the track of stardom already. A blogger or a social media influencer that likes your work would even promote your free. As long as you can establish a harmonious relationship with them, they can introduce you to their circles and subscribers. This is an excellent opportunity to market yourself because you are well aware that these people are interested in listening to good music. Otherwise, they wouldn’t be there in these music blogs in the first place. Many indie artists fear collaboration. They are quite worried that their limelight can be stolen by those people they are working with. Let me tell you now that it is not a good mindset. While it is true that there is a tough competition out there, that doesn’t automatically spell out you will always be at a disadvantage. Collaboration opens the door for expansion. You can gather more crowd and people to listen to you because you are working with someone who has the same style or preferences as you. With this being said, it is very crucial that you can choose the right people to work with. Make sure that they have the same inclinations as you. Furthermore, their fans should have the same interests too. You can partner with different artists in your album or songs. You can make covers for one or two songs together with these people. After that, you can share your works with Spotify, Soundcloud, YouTube, or any digital platforms that you are using. Of course, you have to link your sites with your partner. The key idea here is letting your fans come together for a potential burst. 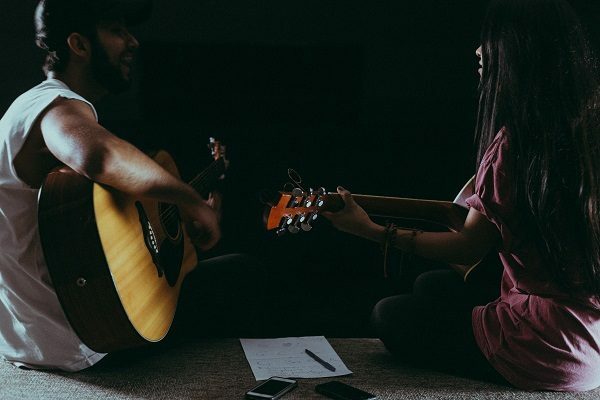 Together you can work as a team to promote your music. Being an independent musician is somehow a tough thing, especially if you are aiming for big and long-term goals. You can’t have that instant trampoline towards popularity because you are still new. You still don’t have the right machinery yet because you haven’t started earning yet from your works. But if you are serious about your art, you can always try these modes of promotion that I have featured here. They are cost-efficient and effective means to promote your music. They are not hard to do even if you are just alone. You just need to understand some stuff, and you are good to go! Did you learn from this article? If you have some questions or suggestions, feel free to drop them in the comment section below! I’m Monica Harrison, and I am self-confessed guitar geek. I created Guitar Trance is to share this knowledge with any interested fellows. I hope that our enthusiasm will get syncopated along the way! 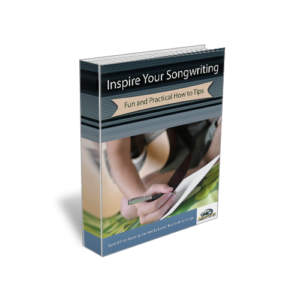 Posted in Songwriting Basics and tagged Monica Harrison. Bookmark the permalink. RSS feed for this post. Trackbacks are closed. If you need money and fame to promote yourself all these methods are very easy to use. Chorus structures are far less standardized than song forms. Pick up a contemporary songbook at your local music store or listen to a Top 40 countdown and what you’ll find is an incredible degree of diversity. In fact, a good share of hits are successful because their choruses are unusual.